Govt. registered Valuer of Immovable property – Cat-I/VOL I/268/93-94. Fellow Institution of Valuers â€“ F â€“ 5445, past Chairman of Institution of Valuers, Mangaluru branch. Chartered Engineer & Life Fellow Institute of Engineers (India) (F-017059-5). Life member of Association of Consulting Civil Engineers (India) â€“ 1400-LM, past Chairman of Mangaluru Centre. Sr. Professional Engineer (Engineering Council of India) (SrPE/00187/16). Life member of Indian Geotechnical Society. Life member of Mangaluru Management Association. 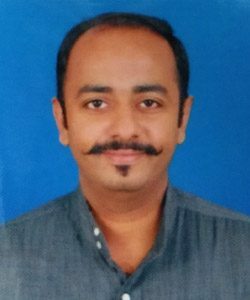 Member of Kodagu – Dakshina Kannada – Udupi Engineers Association (KDKUEA), Working President 2016-17. A Rotarian since 1985 and Past President of Rotary Club, Surathkal. Founder Trustee Surathkal Rotary Charitable Trust, Surathkal, Mangaluru. Founder Trustee Mithra Seva Trust, Surathkal, Mangaluru. Member of Managing Committee H.V.Sangha(R), Surathkal, Mangaluru. 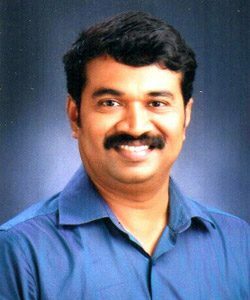 Honorary Director of Vidyadayinee Institute of Agriculture & Rural Development, Surathkal. Expert in Interior design with Feng Shui. B.E (Civil), M.Tech (Industrial Structures). Empanelled in nationalized banks, private banks, MSEZ and oil marketing companies (like MRPL, BPCL, HPCL, IOCL etc). As a consultant designed building & Interiors for Corporation Bank, Karnataka Bank and Bank of Baroda. Valuer of both Immovable properties and Plant & Machinery. Govt. registered Valuer of Plant & Machinery – CCIT/PNJ/34AB/4/2004-05. Govt. registered Valuer of Immovable property – CCIT/PNJ/34AB/5/2004-05. Fellow Institution of Valuers â€“ F â€“ 13966. Professional Member of RICS (6685100). Associate member of Institute of Surveyors (AM-948). Providing valuation services for financial statements/accounting, Merger & Acquisitions, JVâ€™s/foreign collaborations, asset impairment, purchase price allocation as per IGAAP / USGAAP / IFRS, useful life estimation as per Indian Companyâ€™s Act. Chartered Engineer & Associate Member, Institution of Engineers (India) (AM093371-9). B.E. (Civil), Master of Valuation both in Real estate and Plant & Machinery. Empanelled in nationalized and private banks. Formerly worked at M/s. Budhbhatti & Associates, Deloitte Financial Services India Private Limited & Ernst and Young LLP. Industry expert- Metals & Mining. Valuer of Plant & Machinery. Government registered Valuer of Plant & Machinery â€“ CCIT / PNJ/34AB/T(15)/2014-15/09. Fellow Institution of Valuers â€“ New Delhi â€“ F â€“ 24319. Chartered Engineer & Fellow â€“ Institution of Engineers (India) (F-107127-7). 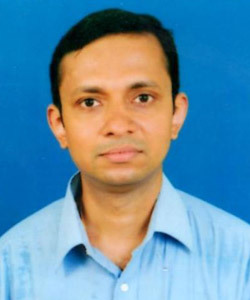 Member of Indian Institute of Metals, Calcutta (V03 0M01 32626). Member of Rotary Club, Surathkal. B.E(Mechanical), M.BA(Operations Management),Â Â Pursuing M.Sc in Real Estate Valuation. Empanelled by Public Sector & Private Sector industries. 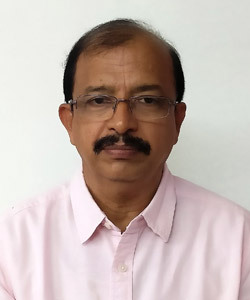 Formerly worked at M/s Kudremukh Iron Ore Co. Ltd (KIOCL), M/s JSW Steel Limited, M/s Kirloskar Ferrous Industries Limited, M/s Karthik Steels Ltd & M/s Sona Alloys Pvt Ltd.
Secretary of NITK Alumni â€“ Mangaluru Chapter 2016-present. Associate Valuer â€“ A â€“ 25887. B.Com, Master of Valuation (Real Estate). Surveying, Estimation, Inspection & Residential Projects. 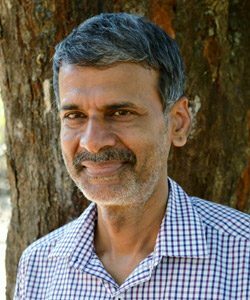 41+ years experience as agricultural specialist in Bank for Coffee, Tea, Rubber Plantation and various fields. 11 + years as an expert in RTI and RTI related services. Industry Expert- Agricultural and Organic foods. In Corporation Bank, Supervisory Experience of 37 years including Faculty Experience of 20 years. Valuation of Coffee, Tea, Rubber & other Plantations. Fellow Institution of Valuers- New Delhi â€“ F â€“ 26435. Leading â€œConsumers Forum, Mangaloreâ€ (R.) as Convener (Guiding consumers for the last 36 years). Consultation on Right To Information (RTI). Former Director, Self Employment Training Institute (COBSETI). Accredited Motivation Trainer & Behavioural Science Trainer. 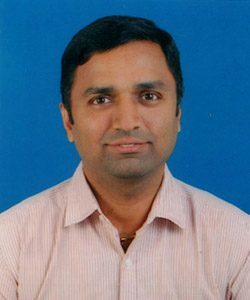 Reputed Trainer for Bank PO & Clerk Selection Tests. Serving IGNOU as Counsellor for MBA Course. Author of more than 15+Â books. B.Sc. (Agri. ), M.BA, M.A, CAIIB, PG. Dip. IR&PM, Dip.HRM. 11+ years in Civil Engineering, Environment Engineering & Valuation. Valuer of immovable properties.Â Government Registered Valuer for immovable properties. Reg. No: CCIT/PNJ/34AB/T(15)/2016-17/19. Associate, Institution of Valuers â€“New Delhi â€“ A-26171. Chartered Engineer & Member Institution of Engineers (India) (M-1563259). B.E(Civil), M.Tech (Environmental Engineering),Â Pursuing M.Sc in Real Estate Valuation. Professional Engineer (PE/01117/16), Life Member of Engineering Council of India. Formerly worked asÂ Design Engineer-CivilÂ at IOT Design & Engineering, as Senior Engineer-Environment GAIL(India) Limited and as a Manager EHS atÂ Asian Paints Limited. Life member of Association of Consulting Civil Engineers (India)-4408-L.
16+ years in Civil Engineer, Marine Construction Engineer, Installation Engineer, Weight Control Engineers, PMC & Valuation. Fellow Institution of Valuers â€“ F â€“ 26175. Chartered Engineer & Member Institution of Engineers (India) (M-1552044). Life Member of Institution of Civil Engineers (M30357). Professional Engineer (Life member of Engineering Council of India) (PE/00699/16). Life Member of Association of Consulting Civil Engineers (India) – 4407- F.
B.E (Civil), M.Tech (Marine Structures),Â Pursuing M.Sc in Real Estate Valuation. 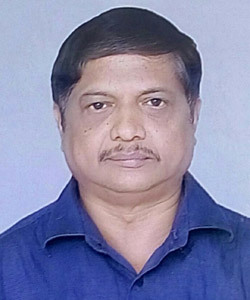 Formerly worked at Simplex concrete piles, Hindustan Construction Company (HCC), National Petroleum Construction Company Limited & Petrofac (Chennai, TN).